The term ‘opera’ needs to be redefined and promoted as also representing a viable, vibrant and vital music dramatic form, and not just old lace and powdered wigs. A brand new opera house is opening in Oslo, Norway next year – and the reactions have been as expected: the money should have been spent on more important things – like hospitals and schools – rather than to appease the small minority of the high-brow, cultural elite! Well, what can you say? The myths of the old-fashioned Grand Opera have surfaced again. Who wants opera in Norway? Do we really need an enormously expensive venue for the display of grandios foreign operas from the 17th – 19th centuries? What does this have to do with contemporary Norwegian culture, or with Nordic cultur, for that matter? I recollect a scene from the movie, “Apocolypse now!” (I haven’t seen the revised present day version), where a hoard of helicopters come roaring in from the sea at low altitude toward a defenselessVietnamese village. Under the fusilage is mounted huge loudspeakers blasting the aria, “The ride of the valkyries” from Wagner’s opera, with the intent of scaring the inhabitants out of their dwellings before the village is cindered by napalm bombs. What could be more frightening to the unsuspected than a howling soprano from, of all horrid things – an opera! And it worked! For years, while the plans for a new opera were being assembled, there have been numerous operatic blasts from politicians and the media, trying to revitalise the age old prejudices surrounding the art form, by mocking the opera and what it stands for; the pompousness of the form, the ridiculous singing styles and the select rich snobs who frequent the opera. So why is opera met with sceptisism rather than positive interest? Probably because every time we refer to opera, we use the term ‘opera’! And the media thrives on the misconception that opera is something intolerable and old fashion, where melodramatic, hysterical sopranos, wooed by heroic tenors, sing words which are virtually impossible to perceive through the ecstatic vibrato. We need to clean up this impression through a massive campaign where the entire spectre of musical dramatic theatre expressions is presented, of which the old form of opera is but one. Contemporary opera is so much more, despite what certain opera house directors choose to disclose the public. There is a whole range of various forms, from experimental music theatre to the popular opera musical. All these forms of “opera” – in the meaning of musical dramatics – will no doubt have to be a part of the regular repertoire of the opera house of tomorrow. Not just to satisfy the traditional opera lovers, but to encompass a much larger segment of theatre lovers in general, young and old. Only this will create a situation which justifies the enormous prestige bestowed on the building of tomorrows opera house. The new opera house in Oslo needs some explaining, not just of what it looks like, where it is situated and how much it costs the taxpayers, but what in fact is planned to be going on within its four walls, on the various stages. I sincerely hope that the explanation spells more than the word ‘opera’. The art of music dramatics is a marriage of three traditionally more or less autonomous art expressions, that of music, literature and the theatre. (Or shall we say, that of sound, words and the (visual) stage arts.) Throughout the history of the opera, let’s say from right before Monteverdi and on (ca 1550), the form has been weighted more on the one expression than the others. First the words were most important, the music being a mere vehicle to convey the emotional and conceptual qualities in the text (the “sing-plays” of pre-Monteverdi). Then, as the music became more and more dominant (thanks to Monteverdi), the words came into the background to such an extent that what they conveyed was almost of no importance other than to support a rather meager story line, if one could distinguish the words being sung. In addition, of course, to show off the vocal artistry of the performers. Some operas relied heavily on the overall concept as such, the literary and artistic qualities in the libretto being awarded minimal attention (Wagner?). And yet others of the more contemporary sort, are almost entirely displays of theatrical splendour and visual magic (f.ex. Stockhausen’s “Freitag aus Licht”). Who actually “owns” an opera? The librettist? The composer? The stage director? The process of creating an opera has traditionally been the task of the team librettist/composer. The librettist writes the words, and then the composer sets the music to the words. On the question of whose opera it is, the composer is usually given the main credit. Normally, it is the composer who is contacted initially whenever an opera is to be commissioned. Even though the idea and concept more often than not is born of the librettist. The point is that the creators of the opera still today, is the pair consisting of librettist and composer. The third party involved enters in at a later stage – litterally – when the opera score as such is completed. The main task of the theatre, and its stage director, is then to adapt the score to the stage. The score is untouched in most cases. The parts have been written out and the rehearsals with the orchestra are starting. So there is simply no time to do any alterations in the score. The theatre has to try to interpret and solve the scenic situations as good as possible, in an attempt to realise the artistic intentions of the “true” creators of the opera: the librettist and the composer. What the audience ultimately experiences is of course as much theatre as anything else. And the opera is not the score alone, as much as it is the libretto alone: The opera is what you see and hear on the stage, the third part of the creative team being naturally the opera’s stage director. 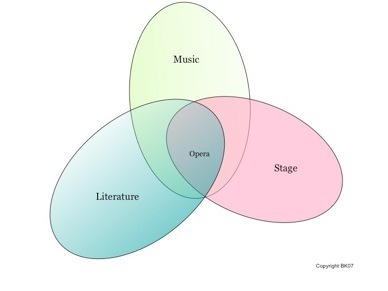 The consequence of such a “trio model”, as opposed to the “duo model”, is that opera projects being realised today should involve a slightly altered creative process, one where all three creative artists collaborate from the very start of the conceptual development. Nonetheless, each one will, at given times as the work evolves, certainly have to retire to their respective chambers and work with their particular material; the composer with the musical score; the librettist with the words, and the theatre director with all that involves the stage elements. But they will also largely work together as a creative team and give each other invaluable inputs in the process of realising a common artistic intention. In this way, the chance of attaining that magical “kairos”, that dynamic synergy that lifts the work off the ground, is far greater than in the traditional “first-the-words, then-the-music, then-the-stage”-type of creative process. On the point of artistic collaboration, the ultimate question is just how a librettist, a composer, and a stage director actually work together. How do they speak to one another? Being able to communicate verbally, on an artistic level, is a natural prerequsite. 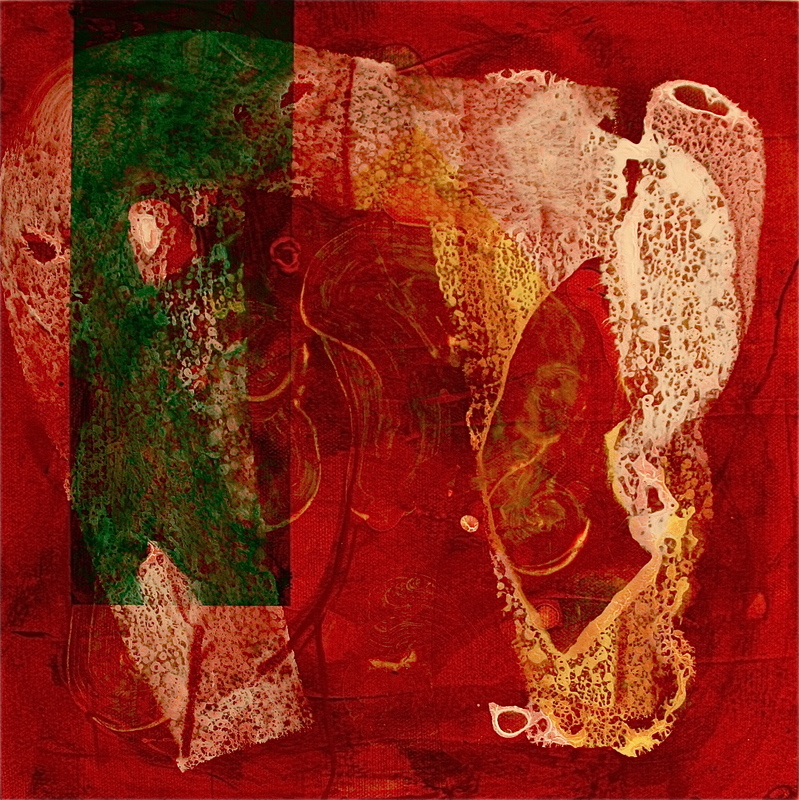 The biggest obstacle in a collaborative process are the terms and concepts each part uses, and is used to using, within their repsective field of art and not finding a common professional terminology which is constructive in the best possible way towards chiseling out a common artistic intention. I truly believe there are common conceptual models, along with a precise and profound common professional terminology, existing in the interdisciplinary domain within the various art expressions. But this issue is so vast that it deserves an article on its own. So much for the collaborative aspects pertaining to the creative process of the musical drama. I mentioned earlier in this article, the myths of the old-fashioned Grand Opera that rise to the surface whenever the term ‘opera’ is used. And many a contemporary composer of opera is also bogged down by these myths, seemingly unable to shrug off the compositional clichés of the old opera form. There are more operas experimenting with new constellations of pitch and rhythm, rather than with the investigation of sound as such, instrumentally and, not the least, vocally. Too often I hear an abstract instrumental texture underlying a very conventional operatic vocal style of singing. The anachronism is so evident as to be almost comical, unintentionally so. The sound of words, apart from their metaphorical function, has also yet to become a natural part of the opera’s musical material. This lack of awareness of an obvious compositional element is clearly illustrated when operas are translated from one language to another. Why doesn’t anyone react? It’s like the dubbing of an actor in films. Where is the integrity of the actor? Doesn’t sound quality, its expressive and aesthetical nuances, mean anything? About ten years ago, I become aquainted with Salvatore Sciarrino’s opera, “Luci mie traditrici”, where the singing is on the same abstract level as the instrumental playing. This, to me, is a truly symbiotic contemporary musical expression, where all the compositional musical elements work together. I could not imagine this opera being translated into another language! It would make the entire sound picture crumble. I must say, however, that I have yet to see Sciarrino’s opera on stage, which is to say that I haven’t really experienced the opera as musical drama – I have just heard the music on a CD. One stage production that I did see was Robert Wilson/Tom Waits’ “Woycek”, at Betty Nansen Theater in Copenhagen afew years ago. If this was not contemporary musical drama, made with such an eye and ear for the optimal theatre experience, I don’t know what is. A truly magnificent work, which I know will have an impact on subsequent works for the stage in the future. As for the Nordic opera, it is well and thriving – even the Grand Opera, like Poul Ruders impressive “A Handmaid’s Tale”, commissioned by the Danish Royal Theatre in 1993 and premiered there in March 2000. Not to mention the series of magnificent operas from Swedish composer Hans Gefors, like “Christina” (1986), “Parken” (1991), “Vargen kommer” (1996), and “Clara” (1998). Yet there are more oblique works which fail to fall into a standard category of musical drama, like Olav Anton Thommessen’s magical symphonic drama “Cassandra”, for (speaking) actor and orchestra, performed in its final version during the Ultima Festival 2001 at the Norwegian Opera. Still there are smaller works, also for the stage, with music and words, like Cecilie Ore’s enigmatic “A. A Shadow Opera”, also performed at the Ultima Festival the same year. No singers were present on stage – only a Buhto dancer… and the audience itself. And looking at the long list of operas and other musical dramatic works having been written and produced only in the last ten years, it is evident that this particular genre of theatre art is alive and living, even among the younger generations of composers, librettists and stage directors. May the opera houses of the future here in the Nordic countries give ample room for all musical works for the stage, right next to Verdi and Wagner. I feel sure that Verdi and Wagner would more than gladly have approved and applauded.